oil market because it rolled every month. Generally there was a $2 premium from one month to the next; so in early November 2006, crude fell to just $55.00. But when the front contract month expired and the next rolled over, prices were quoted $2 a barrel higher. The same scenario exists for currencies; however, the rollover is every three months. The first notice day and last trading day combined with the options expirations can hinder trading and cause confusion; there are situations where traders place orders for the wrong contract months during this "switching period." This rollover period gets confusing even for an old pro like me; but if you know what to expect, then you can prepare for the event. We have not covered this topic yet (which will be covered in depth in the next few chapters), but the greatest technical tool for forex trading is pivot point analysis. It is based on a mathematical formula to predict future support and resistance target levels. If you are calculating pivot points for the futures markets, you already know that you need to constantly switch your analysis from the expiring contract to the new contract month. This can cause "gaps" in your analysis. Take, for example, the rollover that occurred in March 2006. On March 7, the March futures contract was still trading and was quoted at 0.8485. The June futures contract had become the lead month and was quoted at 0.8597. That would mean that there was a gap of over 100 PIPs due to what is called the basis—the difference between the cash market today and the futures contract for delivery in June. The basis includes what is known as the carrying costs. As a trader, I would need to adjust my numbers and analysis for this gap or start backtracking prior sessions to accommodate for the price differences. It is done every quarter; and, believe me, it is a royal pain. So not only do you have to be careful placing the right contract, but you need to know the various margin requirements, the right expiration dates, the contract values, and the value of each tick (point). I am not going to give you the "let's turn lemons to lemonade" line here; futures rollover is a pain in the neck. 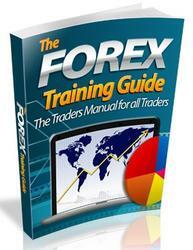 To summarize, the benefits of trading the spot forex market outweigh trading the futures markets from many perspectives. 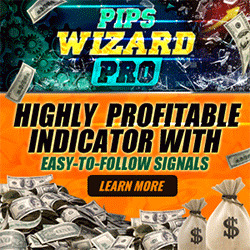 If you acknowledge that paying the PIP or spread for your trades is not cutting into your profits, especially since you do get free charts, news, and order execution privileges, then trading in the spot forex market is better than the futures markets. Granted, most forex dealers trade platforms and charting capa bilities are not high-powered systems but they do allow a beginner to execute trades without additional software expenses. The analytical tools such as volume analysis and open interest studies combined with the CFTC Commitment of Traders (COT) report data can and should be integrated for spot forex trading. If you can learn to merge the benefits of both worlds, then perhaps one of the best short-term trading vehicles is the spot currency market known as forex.